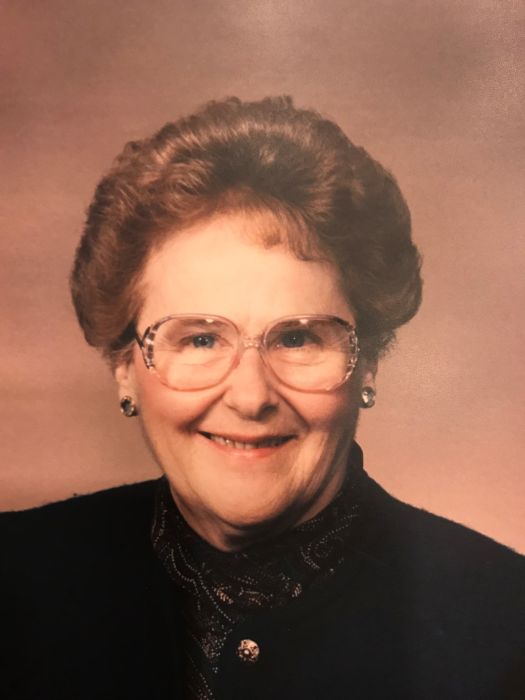 PEMBROKE- Mrs. Bernadette T. (Rheault) Laverdure, 91, of Pembroke, passed away at the Merrimack County Nursing Home on March 19, 2019 after a period of declining health. Born in Saint-Flavien, Quebec, Canada, Bernadette was the daughter of the late Elphege and Ophilia (Plante) Rheault. She was raised and educated in Canada before coming to New Hampshire at the age of 18, where she resided for the rest of her life. Prior to her retirement, she was employed as a sterile preparation technician at the Elliot Hospital, a position she held for over 20 years. She was quite skilled in her work and derived much personal satisfaction from ensuring patient safety through carefully sterilized surgical instruments. She also enjoyed cross stitching for many years, and pieces of her fine needlework grace the homes of her family members. She also sang in the St. John the Baptist Church Choir for several decades. Music was always a large part of her life and she brought joy to her family with her frequent singing and piano playing. She was predeceased by her daughter, Marie M. Laverdure and her brother, Lucien Rheault. She is survived by her children: Richard Laverdure of Concord, Jean Laverdure of Albany, NY, Marc Laverdure of Pembroke, Pierre Laverdure of Concord, Monique Laverdure of Concord and Lise Fleuette and her husband Joe of Easton, CT. She was the grandmother to Emma and Chandler Fleuette and is also survived by her nieces, Claire Rheault St. Hilaire and Claudette Rheault Dube.